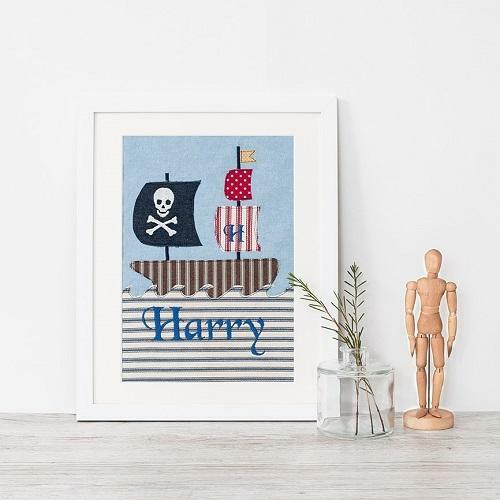 This handmade pirate ship lampshade is made from our original printed fabric, it makes for a colourful addition to a little boy's room. 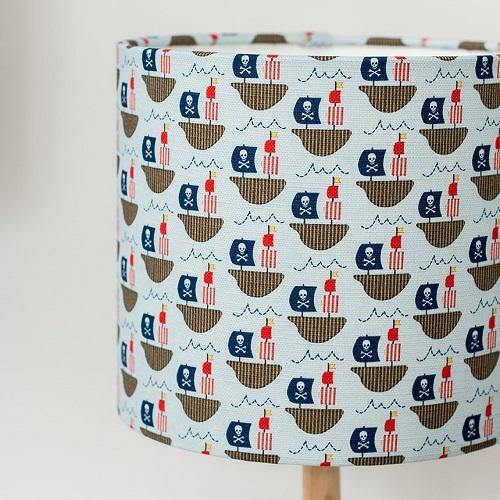 This lovely pirate ship lampshade is sure to be a hit with any pirate mad little one! 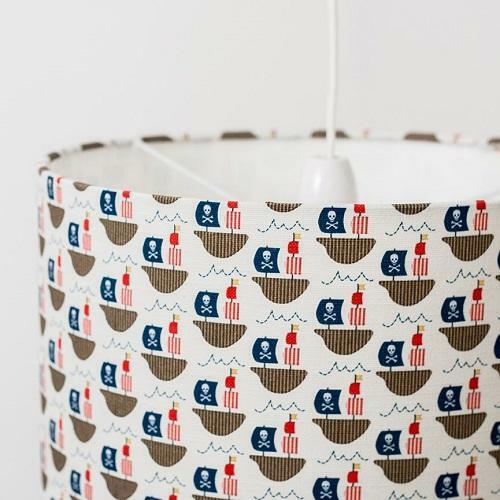 The handmade lampshade is made using our original pirateship printed cotton linen fabric. 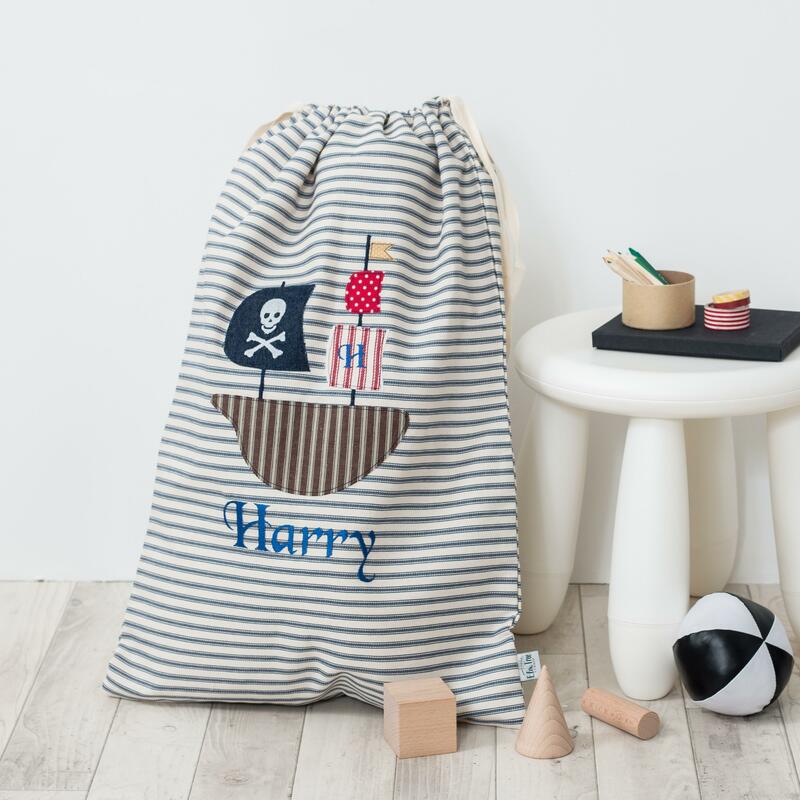 The design is taken directly from our popular pirate ship applique. 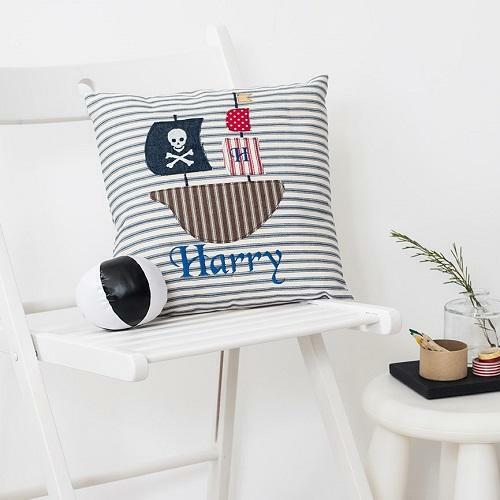 These lampshades coordinate perfectly with our pirate ship cushions and storage bags. 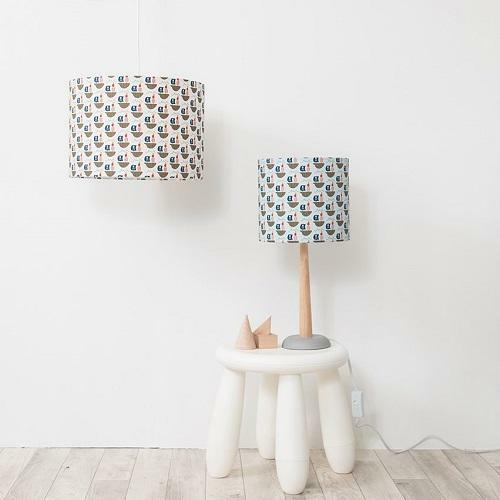 The lampshade is also available in three sizes, 20cm, 30cm, and 40cm. 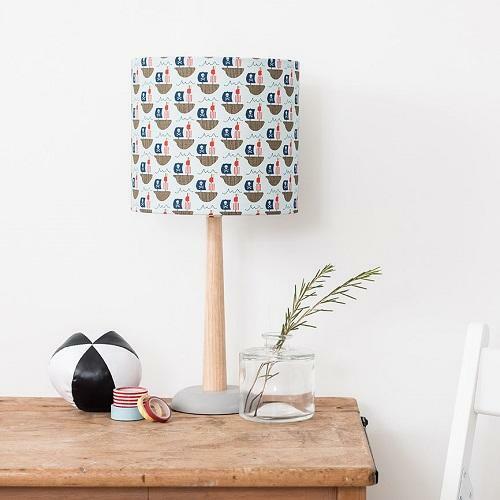 The 20cm shade works well on smaller, slimmer lampbases, whilst the 30cm shade looks good on standard lamp bases and can be made as a ceiling pendent lampshade. 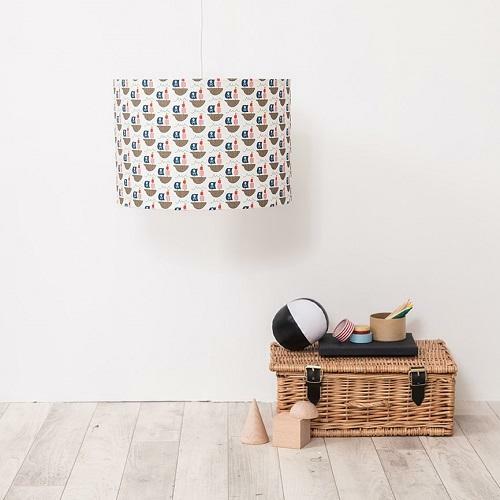 The 40cm shade is best suited for tall floor lamp bases and as a statement ceiling pendent shade.